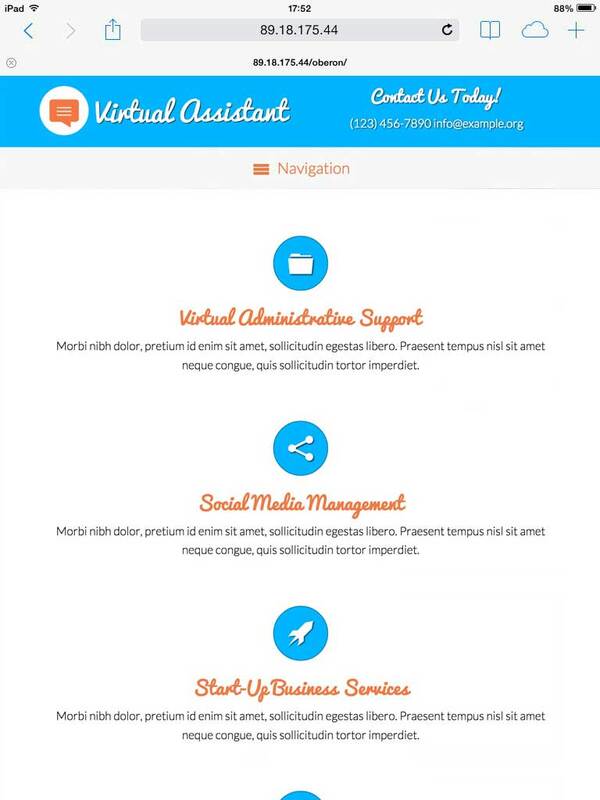 With the Virtual Assistant WordPress theme we've made it easier than ever to quickly create a professional website for your virtual office assistant services. Just fill in your own text and pricing plans and you're done! 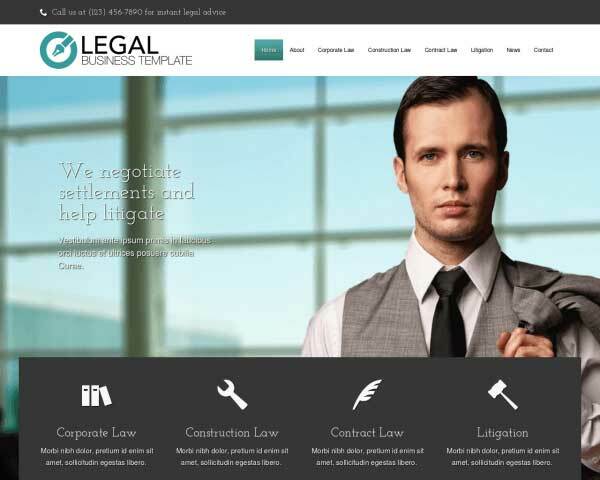 The Virtual Assistant WordPress theme is designed to help you easily build a sleek, informative website that shows prospective clients what your business can do for them. 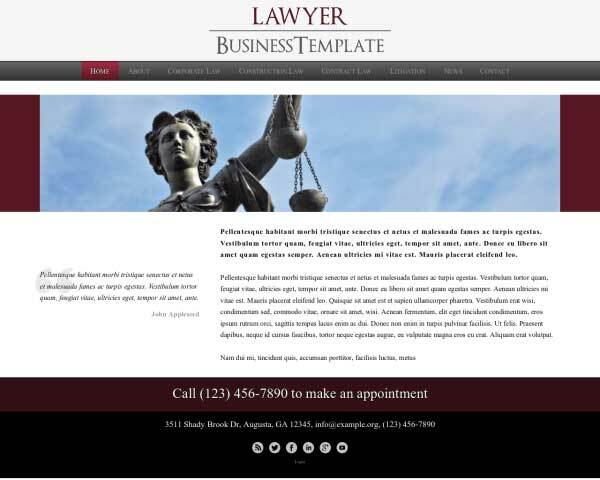 Use this pre-built website template to convince visitors of your tech savviness and professionalism through neatly outlined descriptions of your services and pricing packages, and offer them clear contact information and convenient contact forms. It's all set up and ready for your own text and images! 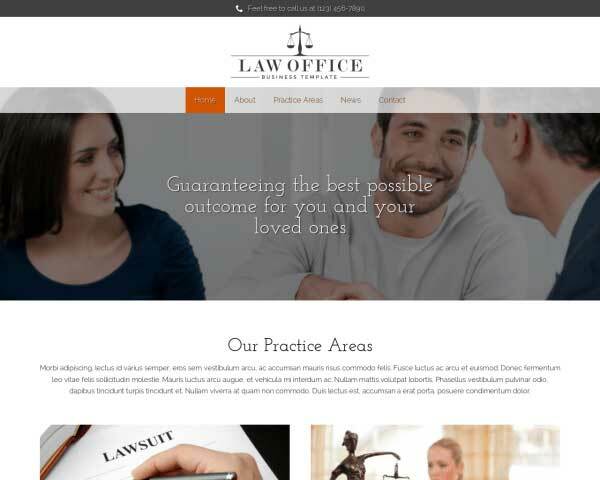 Personalizing this premium WordPress theme is easy too. Our visual front-end editor allows you to change the color scheme and fonts with just a few clicks, or rearrange page layouts using drag and drop widgets. 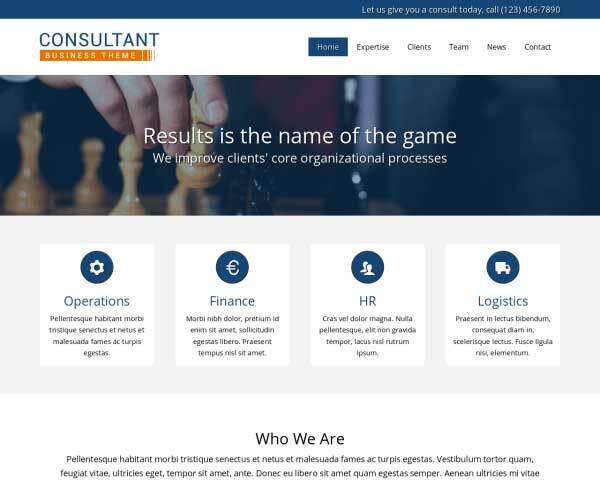 Absolutely no coding is necessary to customize your virtual assistant services website to suit your needs. We've included helpful business features like customizable forms, built-in social media options, and the ability to integrate Google docs or link to downloadable PDF files. 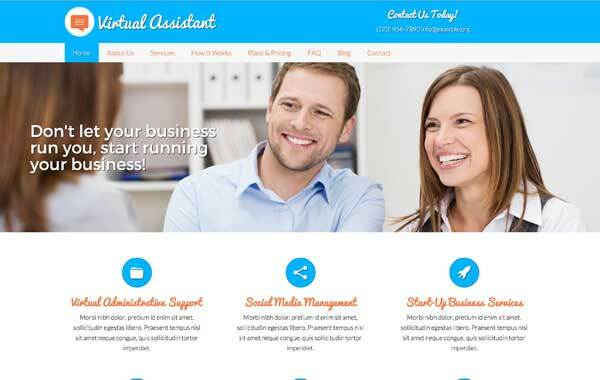 Get your new website online in no time and grow your business with the Virtual Assistant WordPress theme. 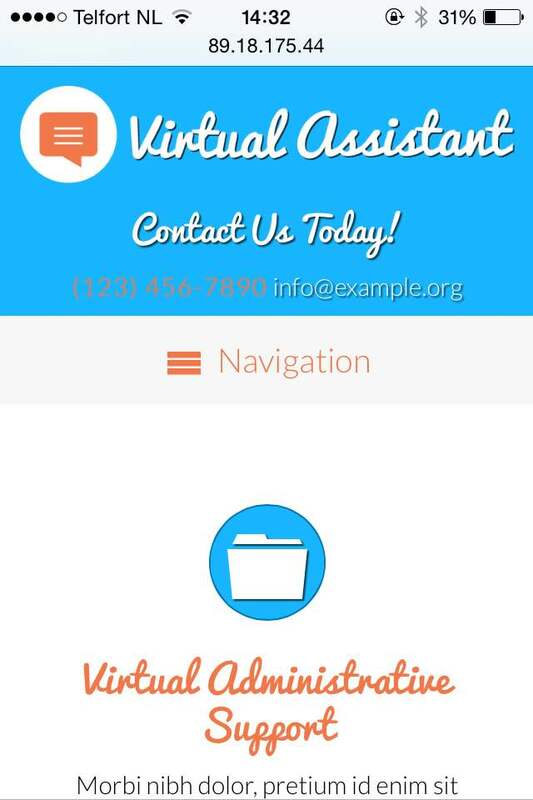 The Virtual Assistant WordPress Theme is the result of invaluable input from actual virtual assistants. So you can rest assured that it meets your needs. 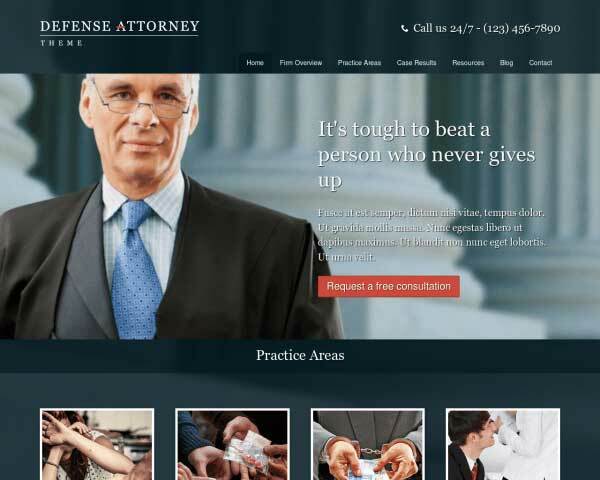 In prominent areas on your website, attention-grabbing calls-to-action encourage visitors to get in touch with you providing a great way to convert them into clients. 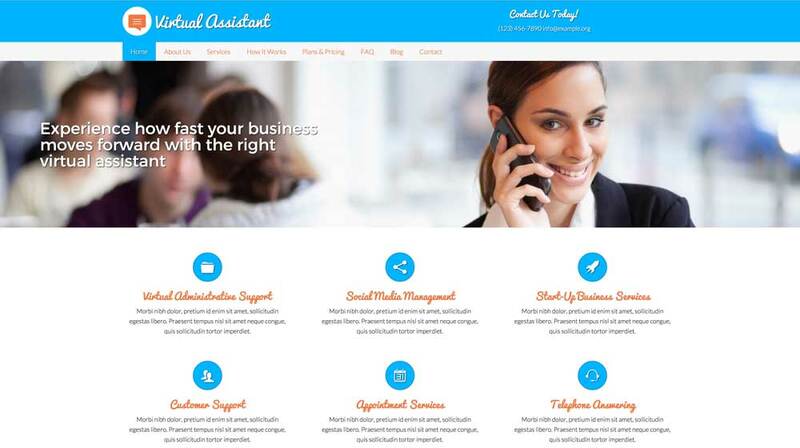 The Virtual Assistant WordPress Theme includes an eye-catching full page slider which will have the visual impact you want for your own website. 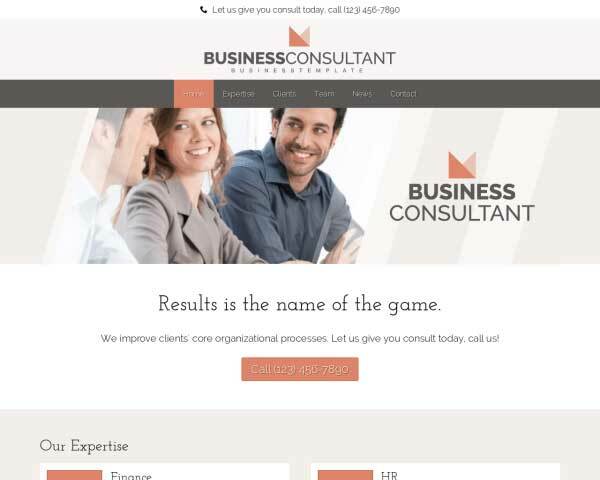 This WordPress theme's contact page is set up for you to include clear contact information, an integrated Google map, a route planner for driving directions and a convenient form. With clear distinctions between the questions and answers, the Virtual Assistant WordPress Theme's FAQ page is ready to be filled with your most frequently asked Q's and A's. With the Virtual Assistant WordPress Theme, you can offer visitors a neat, appealing presentation of your rates and services just by replacing the text and prices on the built-in charts. Individual pages are already set up for you to offer detailed information about each of your services on this WordPress theme for virtual assistants. The Virtual Assistant WordPress Theme comes packaged with icons for the most popular social media websites, ready for you to link to your pages and making it easy for clients to stay connected. 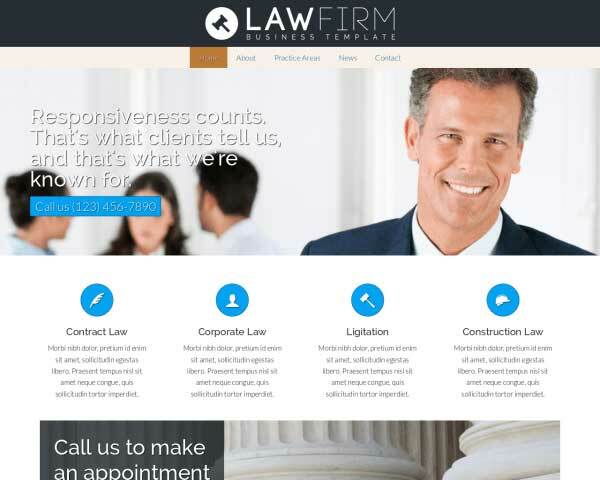 Both regulars and new clients will appreciate learning about your history and seeing the faces of your friendly team on the Virtual Assistant WordPress Theme's about page. As a virtual assistant, it's especially important for your website to make a professional impression on clients who may never meet you in person. Don't miss out on business from busy professionals who use smartphones and tablets to learn about your services — build your website with the responsive Virtual Assistant WordPress theme to make sure that your website will look great and work perfectly on all handheld devices. 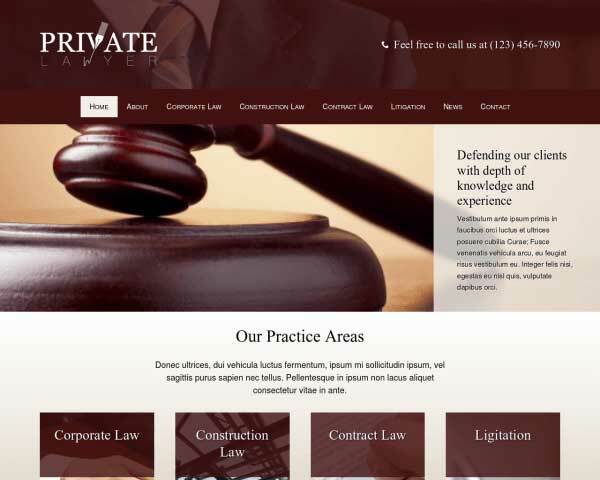 Our mobile-optimized design automatically adjusts the layout of your content to display neatly on every screen size, so you won't ever have to give the mobile version of your site a second thought.